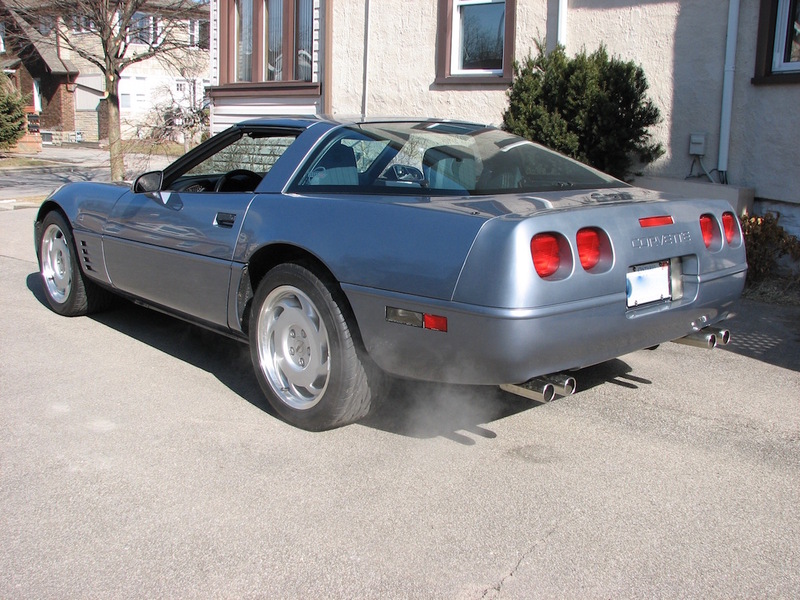 This Steel Blue Corvette C4 coupe was originally purchased in California. The Steel Blue (Code 25) is a rare original colour for that year (there were approximately 400 of them). Overall this vehicle appears to be in good condition. A detailed appraisal was done in 2015, it was appraised at $20,000.00. The odometer reading is 110,051. The coupe has been under the best care and greatly loved by the owner. 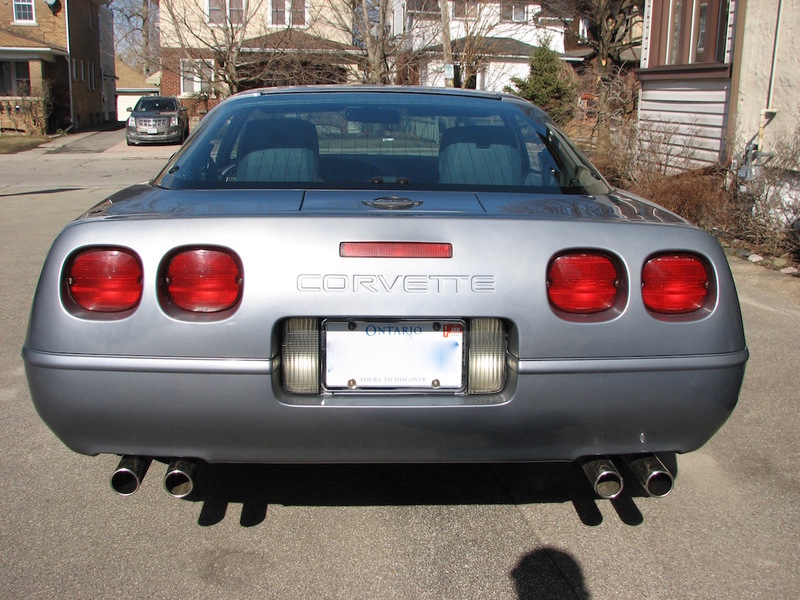 This vehicle is a very nice example of a clean, well optioned and well maintained C4 series Corvette with tasteful upgrades.This C4 version of the Corvette has often been regarded as the first “world class” sports car Corvette. 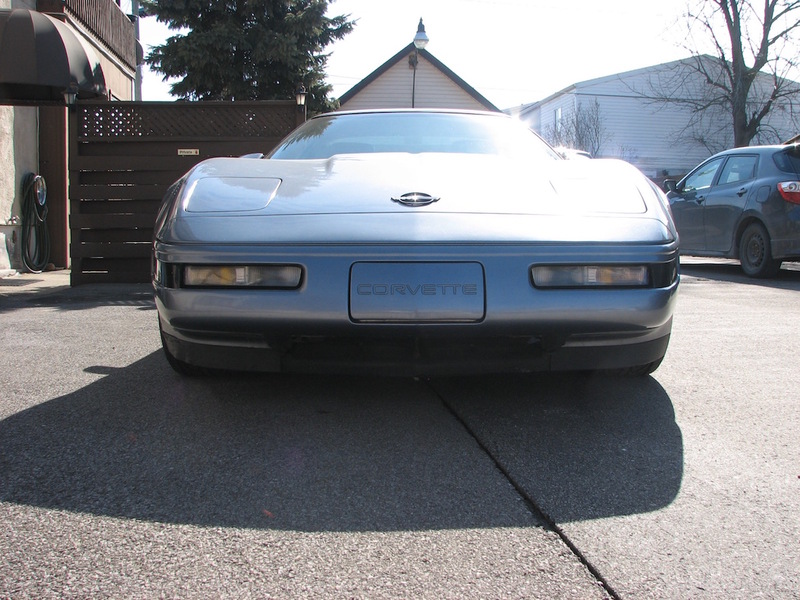 Many Corvette enthusiasts consider C4 Corvettes to be the best bang-for-the-buck Corvette available in today’s marketplace. The paint finish and clam shell hood is in good condition with no visible damage. The front bumper has a few very minor paint chips and paint surface cracks. The lower fender extension panels are in good condition. The four wheels are in excellent condition, including the trim caps and lug nuts’ trim. 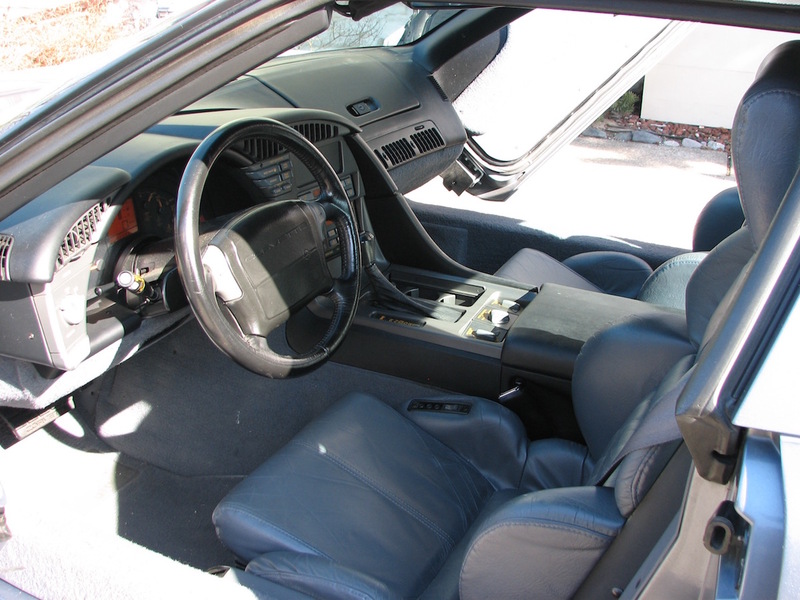 The interior is blue leather. The seats are in very good condition with no rips or tears. The carpeting is in good condition with no visible wear and are accented with colour matched floor mats in very good condition. 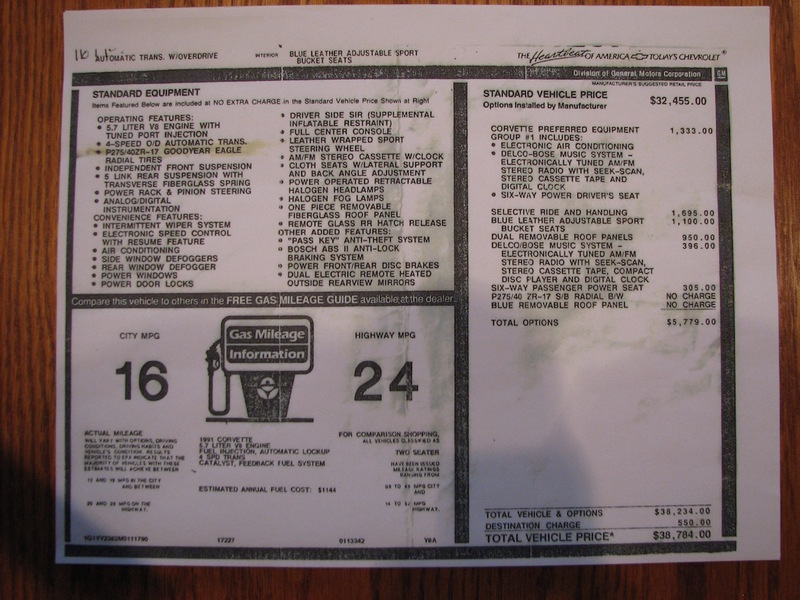 The floor console, glove box door, and side trim panels are all in very good condition. The ashtray and lighter have not been used, suggesting a non-smoking history. The dash has all the original gauges, they are all in working order and in good condition. The steering wheel is in good condition with no visible damage. The dash pad is in good condition with no cracks or visible fading. The original sound system is in place. The engine appears to be an original type L-98, 5.7 L 350 cu.in., 250 HP tuned port injected V8. It runs well with no signs of smoke or abnormal internal noises. 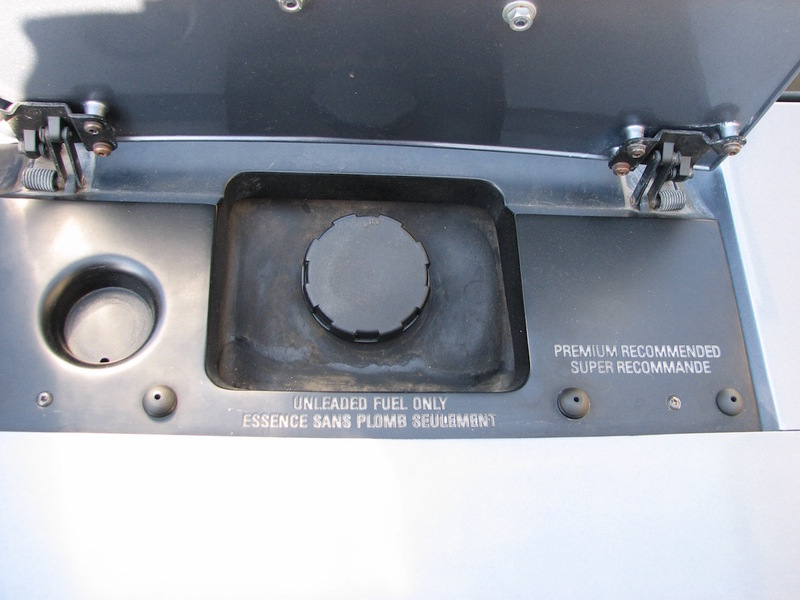 The oil level is correct and clean. 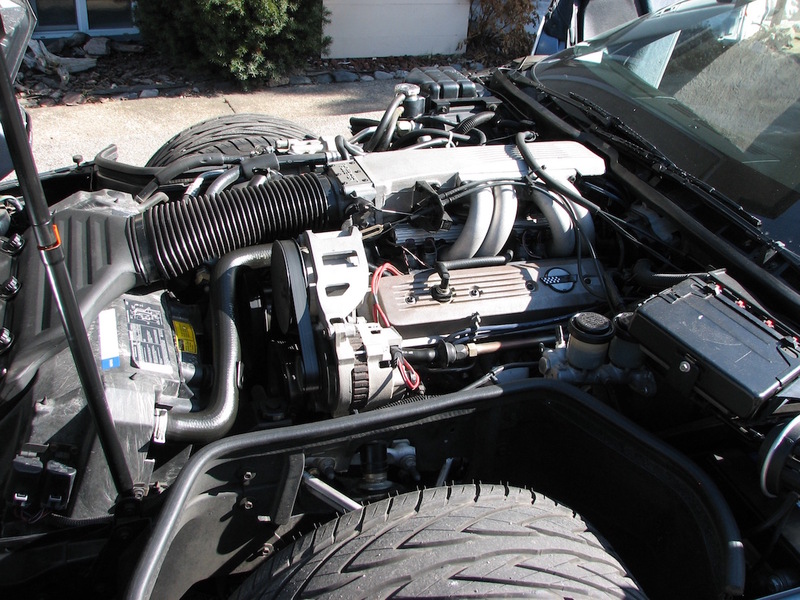 The engine and engine bay are clean and show no visible signs of after market performance upgrades. The transmission appears to be an original type 4 speed automatic, it runs properly. Custom work which may be returned to original if wanted are the remote control electric exhaust system and custom vertical doors, professionally installed. 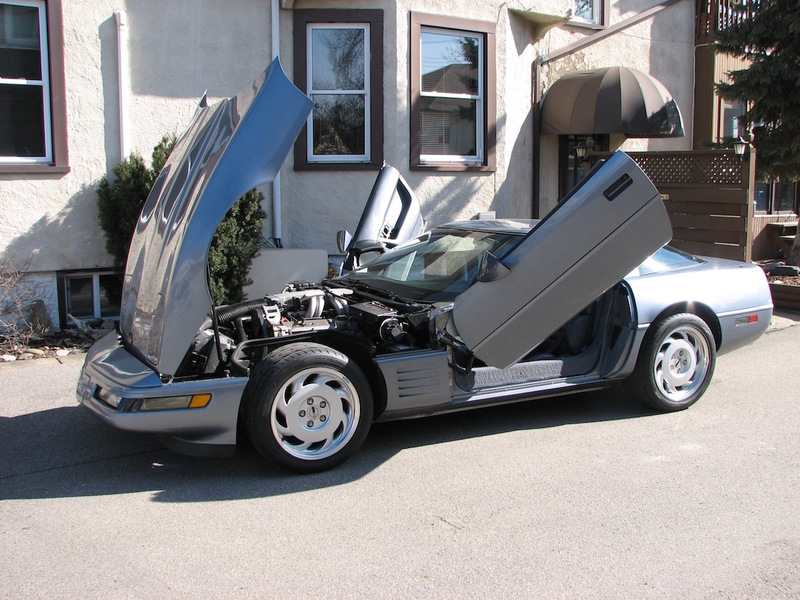 Buy this excellent California car with the unique gull wing doors for only $15,995.00 CDN.